المسجد الحرام Al Masdschid al Hharaam ist die Mosche inklusiove Ka'abah. Die Ka'abah wird auch das "Haus Allahs" (‏بيت الله‎ bayt Allaah) oder die Heilige Ka'abah genannt. Im Mittelpunkt der Orientierung steht die heilige Ka'abah - das "Haus" Allahs - in deren Richtung sich Gläubige vor Gott niederwerfen. Während der Pilgerfahrt, kommen Muslime der Ka'abah physisch ganz nahe indem sie Ka'abah umkreisen Tawaaf (umkreisen der hl. ). Um was "dreht" es sich im Leben? Im Mittelpunkt der Al Masdschid al Hharaam befindet sich die heilige Kaâbah, welche die Qiblah (Ausrichtung) während der Hauptaktion für alle Muslime ist. Diese Moschee ist die Urmoschee, welche vom Propheten Adam (alaihi slaam) erbaut wurde und später vom Propheten Ibrahim (alaihi slaam) zusammen mit seinem Sohn Ismail (alaihi slaam) wiedererrichtet wurde. Der letzte aller Propheten, der Geliebte Allahs, Muhammad , entfernte die Götzen, welche im Laufe der Zeit in und um die Kaâbah aufgestellt wurden. Der formale Götzendienst (schirk) wurde damit abgeschafft und Tauhiid (Monotheismus) wieder hergestellt und die Hauptaktion (As-s-salah) etabliert. Wenn du die Ka'abah besuchst, photographiere nicht! Mach dich nicht selbst zum Goetzen und sei kein Tourist wenn du zum Hause Allahs und zum Grab Seines Gesandten pilgerst. Zerkratze nicht den Spiegel deines Herzens, der dich die Gandenströme Allahs erleben lässt. Wenn du deine 'Umrah oder HHhadsch machst und dabei das Haus photographierst, oder gar Selfies machst, dann hast du den Pfad bzw. den Sinn deiner ursprünglichen Absicht mehr oder weniger wieder verlassen und bist nicht nur mehr für Allah nach Makkah gekommen, wie du in der Talbiah* behauptest hast. Im Tdawaaf طواف (den Umkreisungen) liegt die echte Lebensqualität die doch du finden wolltest und durch deine Abwendung durch das Photographieren machst du einen versteckten Totalcrash oder großen Verlust, auch wenn du das vielleicht niemals merken wirst, denn sonst würdest du das nicht machen. Bist du aber tatsächlich ein Tourist und hast nicht verstanden warum du die Talbiah sprichst, dann sind diese Hinweise für dich hinfällig. *Talbiah - لَبَّيْكَ اللَّهُمَّ لَبَّيْكَ، لَبَّيْكَ لاَ شَرِيْكَ لَكَ لَبَّيْكَ، إِنَّ الْحَمْدَ وَالنِّعْمَةَ لَكَ وَالْمُلْكَ لاَشَرِيْكَ لَكَ - "Hier bin ich zu Deinen Diensten oh Herr - hier bin ich. Hier bin ich zu Deinen Diensten und keine Partner Du hast. Dir allein gilt aller Lobpreis und nur Dein ist aller Großmut und die Herrschaft. Keine Partner Du hast." Al-Kaʿba - (der Kubus; Würfel) - Die heilige K'abah wurde vom Adam erbaut und die zwischenzeitliche Ruine vo Ibraahiim ‏إبراهيم‎ in Zusammenarbeit mit seinem Sohn Ismael إسماعيل‎ im Auftrag Allahs als Pilgerstätte wiedererrichtet. Der Muslim steht in Qiblah (Richtung K'aabah) wenn er betet und - sofern er sich in Österreich befindet - hat er die K'aabah-Seite mit den Hidschr (gemauerte Bogen) vor sich, so wie im Bild unten. There is no place on Earth as venerated, as central or as holy to as many people as Mecca. By any objective standard, this valley in the Hijaz region of Arabia is the most celebrated place on Earth. Thousands circle the sacred Kaaba at the centre of the Haram sanctuary 24 hours a day. Millions of homes are adorned with pictures of it and over a billion face it five times a day. The Kaaba is the epicenter of Mecca. The cube shaped building is at the heart of the most well-known real estate in the history of mankind; it is shrouded in black and its fair share of mystery. The Kaaba that we see today is not exactly the same Kaaba that was constructed by Prophets Ibrahim ṣallallāhu 'alayhi wa sallam (peace and blessings of Allāh be upon him) and Ismail ṣallallāhu 'alayhi wa sallam (peace and blessings of Allāh be upon him) From time to time, it has needed rebuilding after natural and man-made disasters. Of course, we all know of the major reconstruction that took place during the life of the Prophet ṣallallāhu 'alayhi wa sallam (peace and blessings of Allāh be upon him) before he became a Prophet ṣallallāhu 'alayhi wa sallam (peace and blessings of Allāh be upon him). This is the occasion when the Prophet ṣallallāhu 'alayhi wa sallam (peace and blessings of Allāh be upon him) averted major bloodshed by his quick thinking on how to place the Black Stone using a cloth that every tribe could lift up. Since then, there has been an average of one major reconstruction every few centuries. The last renovation took place in 1996 and was extremely thorough, leading to the replacement of many of the stones and re-strengthening the foundations and a new roof. This is likely to be the last reconstruction for many centuries (insha'Allah) as modern techniques mean that the building is more secure and stable than ever before. The original Kaaba used to have a door for entrance and another for exit. For a considerable period of time it also had a window situated to one side. The current Kaaba only has one door and no window. We are so used to the Kaaba being covered in the trademark black Kiswah with gold banding that we can't imagine it being any other colour. 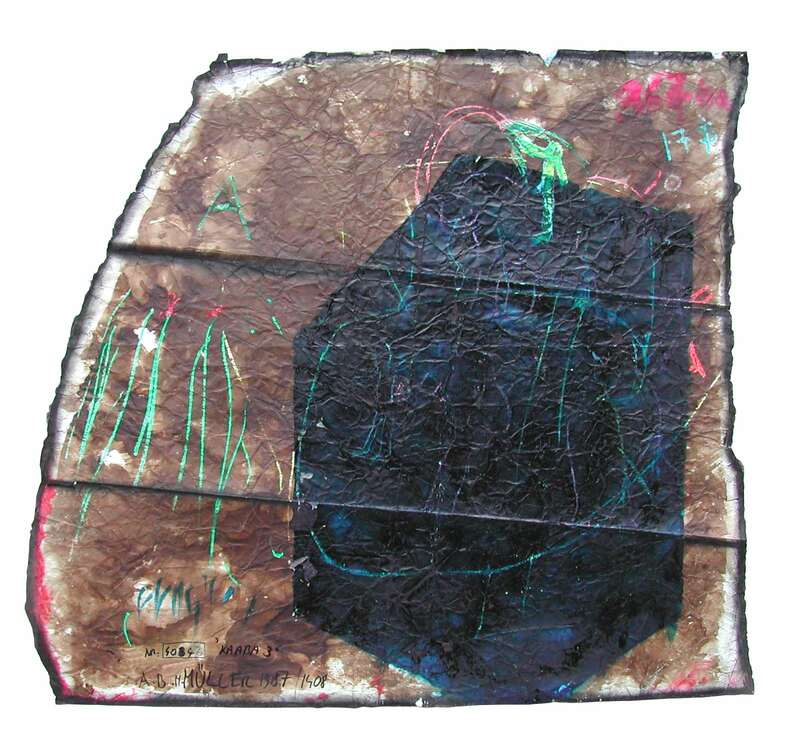 However, this tradition seems to have started at the time of the Abbasids (whose household colour was black) and before this the Kaaba was covered in multiple colours including green, red and even white. Whether Caliph, Sultan or King – the most powerful men in the world have all had to bow to the words of the Prophet ṣallallāhu 'alayhi wa sallam (peace and blessings of Allāh be upon him) and ask permission from this small Makkan family before they can enter the Kaaba. Until recently, the Kaaba was opened twice a week for anyone to enter and pray. However, due to the rapid expansion in the number of pilgrims and other factors, the Kaaba is now opened only twice a year for dignitaries and exclusive guests only. Watch the video attached here to witness the doors of the Kaaba being opened (at 50 seconds) – and the simultaneous gasps of a Million people as they cry out at this auspicious moment. One of the problems with having the Kaaba situated at the bottom of a valley is that when it rains – valleys tend to flood. This was not an uncommon occurrence in Mecca and the cause of a lot of trouble before the days of flood control systems and sewage. For days on end the Kaaba would be half submerged in water. Did that stop Muslims from performing the Tawaf? Of course not. As the picture below amply shows – Muslims just started swimming around the Kaaba. Modern adjustments to the surrounding landscape and flood prevention techniques mean we may never see such sights again. Or will we? Check out this recent video. For years many have wondered what it looks like inside the Kaaba. Relying on second or third hand accounts from those who were lucky enough to enter just wasn't satisfying enough. Then one lucky person who went inside took his camera phone in with him and Millions have seen the shaky footage online. The interior of the Kaaba is now lined with marble and a green cloth covering the upper walls. Fixed into the walls are plaques each commemorating the refurbishment or rebuilding of the House of Allah by the ruler of the day. Watch the video below of the only place on Earth that you can pray in any direction you want, the House of Allah, the first place of worship for mankind – the Kaaba. 3. There are two kaabas! Directly above the Kaaba in heaven is an exact replica. This Kaaba was mentioned in the Qur'an and by the Prophet ṣallallāhu 'alayhi wa sallam (peace and blessings of Allāh be upon him). Ever wondered how the Black Stone came to be in the silver casing that surrounds it? Some say it was broken by a stone fired by the Umayyad army laying siege to Mecca whilst it was under the control of Abdullah ibn Zubair ®. However, most agree that it was most damaged in the middle ages by an extreme heretical Ismaili group from Bahrain called the Qarmatians who had declared that the Hajj was an act of superstition. They decided to make their point by killing tens of thousands of hujjaj and dumping their bodies in the well of Zamzam. As if this act of treachery was not enough, these devils took the Black Stone to the East of Arabia and then Kufa in Iraq where they held it ransom until they were forced to return it by the Abassid Caliph. When they returned it, it was in pieces and the only way to keep them together was by encasing them in a silver casing. Some historians narrate that there are still some missing pieces of the stone floating around. Yes, ladies and gentleman… the most famous cube in the world actually started out shaped as a rectangle. I'll give you a moment to pick your jaws off the floor. 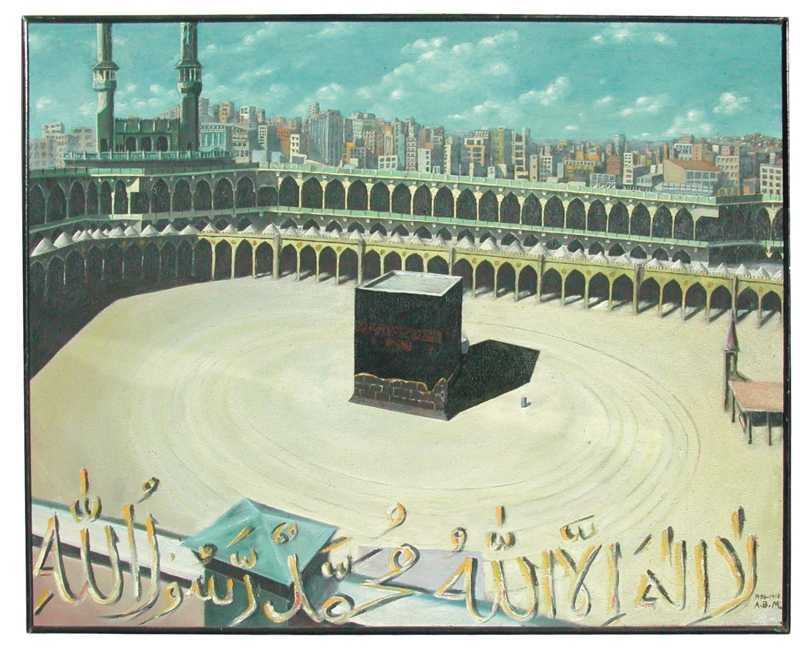 Oh yeah, the Kaaba was never meant to be a cube. The original dimensions of The House included the semi-circular area known as the Hijr Ismail. When the Kaaba was rebuilt just a few years before the Prophet ṣallallāhu 'alayhi wa sallam (peace and blessings of Allāh be upon him) received his first revelation, the Quraish agreed to only use income from pure sources to complete the rebuild. That meant no money from gambling, looting, prostitution, interest etc. In the ultimate sign of how deeply mired in wrongdoing the Jahili Quraish were, there was not enough untainted money in this very wealthy trading city to rebuild the Kaaba to its original size and shape! They settled for a smaller version of the Kaaba and put a mud brick wall (called “Hijr Ismail” although it has no connection to the Prophet Ismail (A) himself) to indicate the original dimensions. Towards the end of his life, the Prophet ṣallallāhu 'alayhi wa sallam (peace and blessings of Allāh be upon him) intended to rebuild the Kaaba on its original foundations but passed away before he could fulfill his wish. Apart from a brief interlude of a few years during the reign of Caliph Abdullah ibn Zubair ®, the Kaaba has remained the same shape that the Prophet ṣallallāhu 'alayhi wa sallam (peace and blessings of Allāh be upon him) saw it in. The history of the Kaaba is not just an interesting story from our past. The Kaaba is a real and present symbol that connects all Muslims together wherever they may be. It also connects us to our glorious and not-so-glorious past so that we may derive lessons and feel that we are a part of an eternal mission. In a day and age where Muslims are increasingly disconnected from our history,as well as each other, the Kabaa reminds us of our shared heritage and bonds. It is a symbol of unity in an Ummah sorely in need of it.